Do at risk-youth and correctional inmates really need to play synthesisers? Contemporary, mainstream music is called "pop" for a very good reason. While current musical trends may seem disposable and insubstantial, they represent the music that most people listen and relate to. Yet music education is based on traditional models: classical instruments and content, sight-reading, theory and drilling. We're missing a precious opportunity to reach out the marginalized with the music that means most to them. Isn't electronic music technology bulky, expensive and hard to use? Yes, which is why Blackball proffers regularly-scheduled classroom workshops with hands-on access to instruments and equipment, along with a fun, interactive immersion in the methods, technologies and origins of electronic music. Blackball began as a summer day-camp session at The Toronto Kiwanis Boys' and Girls' Clubs. Once-weekly after-school sessions are currently taking place at TKGBC. Sessions are designed for up to 12 clients, with plans to expand to 2-4 after-school weekly sessions and 1-3 weekly summer day camp sessions. Program delivery is "out of a car trunk," allowing Blackball to operate in multiple sites. In 2016, Blackball will develop workshops for inmates in provincial and federal correctional facilities. Blackball is 100 per cent donor-funded and free to all clients. transferable skills training unavailable elsewhere. Blvckbvll is incorporated under the Canada Not-for-profit Corporations Act as of 29 September 2015. See Vee: John Copping and Blackball. John Copping was born in Toronto in 1964. But a life-long fixation on synthesizers didn't take root for another 12 years, when he bought his first record—Kraftwerk’s “Autobahn." 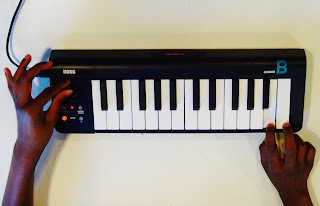 An early student of the searing lesson that Synthesisers Are Expensive, John taught himself to play the affordable instruments: guitar, bass, drums, accordion and the upright piano in his parents’ basement. He was fronting bands at 17, going to school by day and lying about his age to play dive bars at night. By 2001, John had twin boys and took himself off the active list. He sold t-shirts at The Gap, wrote promotional fluff for the Ontario premier and became a court support worker in criminal justice, giving him a unique perspective of the needs of young and adult offenders and youth at risk. The unlikely epiphany was in 2008, when the local elementary school needed a musical director for its year-end talent show. Like many volunteer positions, it was a consistently thankless job. But something about DJ-ing for twelve-year old rappers and teaching fifth-graders mic technique stuck with him. John Copping continued as musical director right up until his sons finished sixth grade. ...and stumbled on the work of El Sistema. Intrigued by the concept of a "system" which lifts young people out of poverty with music, John Copping began observing El Sistema facilities firsthand, a process which took him halfway around the world. 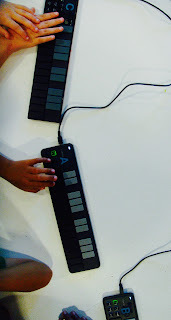 The result is Blackball, a fully electronic version of the El Sistema nucleo. Since July of 2015, this unusual music education project has given young people in mixed-income Toronto communities hands-on access to synthesis, beat programming and sampling. In February of 2016, in cooperation with the Toronto Kiwanis Boys and Girls Clubs, young Blackball participants performed live and un-automated before their peers and family members. To date, some 70 youth and children have taken part in the Blackball project. And there are more sites, more clients and more awe-inspiring electronic sounds yet to come. “John Copping’s approach to electronic composition brings experience, style, insight and a quirky revelling in the human condition.” Paul Savage. DJ-Producer. Toronto. “One really talented mother_____r.” Tyley Ross, Adjunct Voice Instructor, Music Faculty, NYU. As a cultural phenomenon, electronic music has hit its stride. In 2015, computer-driven sequences and samples dominate the web, the airwaves, the dance floor and film soundtracks as never before and DJ-Producers are as famous than movie stars. Yet, behind the hype and glitter is an authentic and protean art form. For every hot DJ, there's an innovator, an iconoclast, a rule-breaker. There are mentors, disciplined practitioners, genre-benders and passionately devoted listeners and fans of every age, everywhere. When Robert Moog developed the first music synthesizer at the Columbia-Princeton Electronic Music Centre, he probably did not envision the stranglehold his invention would take on contemporary music. An art form practiced by huddled figures in dark nightclubs seems an unlikely agent for social change. To its detractors, EDM isn't much more than that annoying thump from a passing car, or worse: the childlike backbeat for a stream of Hip-Hop profanities, the empty heartbeat of the discotheque—a repetitious soundtrack for hedonism, indulgence and excess. Blackball was created in the belief that electronic music is a vibrant musical and cultural force with enormous potential for empowering, inspiring and teaching. In London's grand age of gentlemen's clubs, to be "blackballed" was a one-way ticket to disgrace and obscurity. Blackballing electronic music could mean its salvation. This is a-still evolving, multifaceted art form, with millions or even billions of followers. 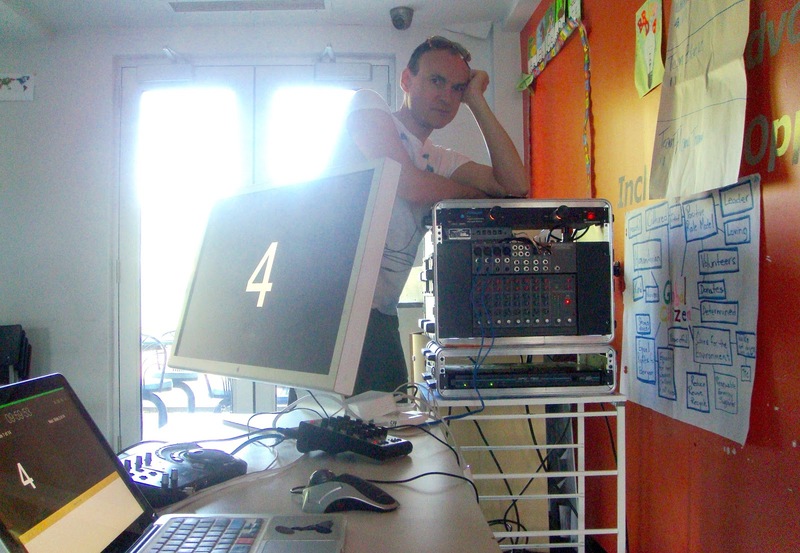 Now is the time for electronic music to be taken back to its birthplace—the classroom.